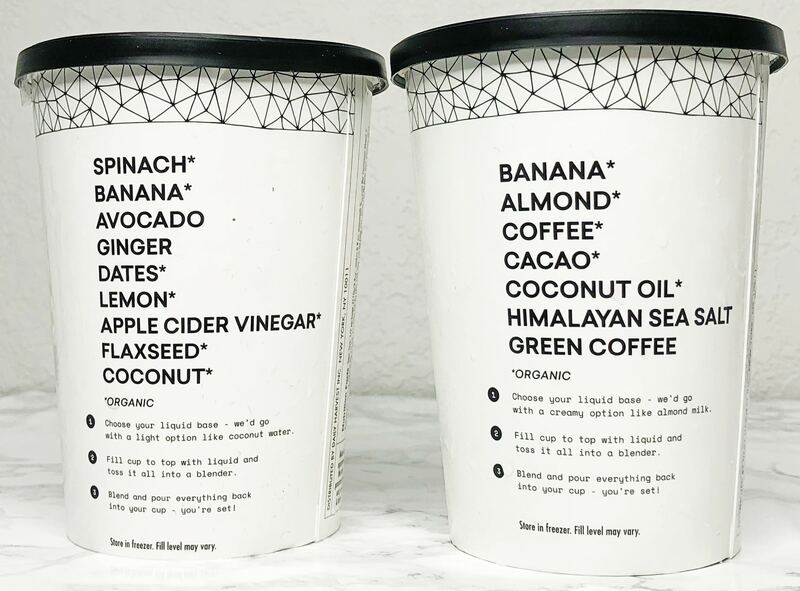 3 Free Cups Free w/ First Order! When I first discovered subscription boxes, I had no idea how many different types there were. Since then, I’ve discovered boxes dedicated to some of my favorite products—smoothies being one of them! 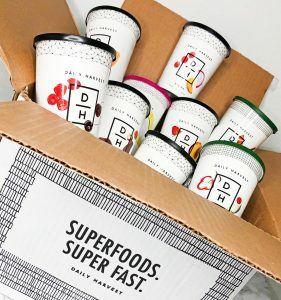 Daily Harvest is a popular smoothie subscription box that I stumbled across and subscribed to almost instantly. All of their recipes are plant-based and packed with nutrition. Not only that, but they’re delicious. After loving my first Daily Harvest box, I obviously continued my subscription so I could try more of their smoothies and other treats. For my second box, I picked a few different flavors and items I hadn’t tried yet. They have so many options, and they’re always adding to their list! As with the previous box, my second Daily Harvest arrived in a medium-sized box. Inside, each cup was stored over some dry ice to keep everything frozen. Once again, I was surprised at how well this works—I even made one of the smoothies right away, and it was still frozen. I decided to get six items rather than nine in this box since it took me a while to use up the first box. Without the coupon, it cost around $45 for 6 items. Although it’s a much better deal with the three cups free coupon, it’s still a reasonable price considering you receive access to a huge variety of different, healthy recipes. Plus, you can choose from more than just smoothies! They offer harvest bowls, overnight oats, lattes, and more. That being said, let’s dive into the reviews of each smoothie (and the other delicious treats) that I received this month. This smoothie is one of their healthiest flavors, so I wasn’t expecting it to taste all that great. However, it tasted better than I expected. A few of the ingredients it includes are spinach, banana, avocado, ginger, dates, lemon, and more. It was pretty flavorful and yummy. The dates and banana gave it a hint of sweetness. I’m not sure why I didn’t get this smoothie flavor in my first box because I absolutely love blended coffee drinks. This one didn’t have any sweetener added, but this was fine because I was able to add the perfect amount. Everyone likes a different amount of sweet (or none at all), so it’s smart that they didn’t include any. It was delicious! 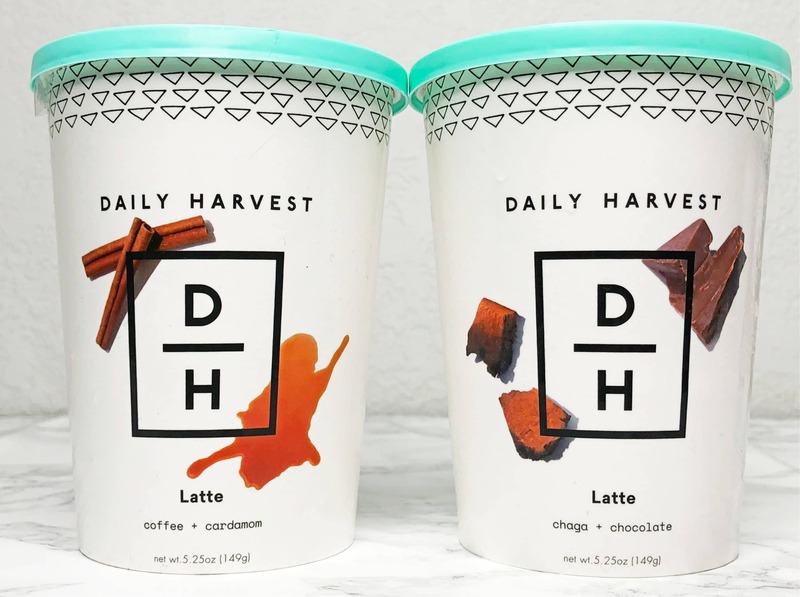 The cold brew smoothie isn’t the only item with coffee that Daily Harvest has—they also offer actual lattes! These always include some type of superfood ingredient, so now you can get a boost of health with your morning latte. I decided to try out two kinds, one of them being this coffee and cardamom latte. It was delicious. I love that you can decide to make it either hot or cold (and both ways are very simple). Unlike the other Daily Harvest smoothies, this one had maple added as a sweetener. Although I was worried it might be too sweet, the recipe was delicious—it was the perfect amount of sweetness when I made it with coconut milk. The second latte flavor I chose was this chaga and chocolate latte. It didn’t have any coffee, but it’s supposed to be comparable to hot chocolate. I really liked this one as well! It’s perfect for a chilly day. Since I didn’t try out any of the harvest bowls in my first box, I got a couple to try in this box. It’s awesome that Daily Harvest provides actual food in addition to their smoothies! If you don’t think $7 for a smoothie is worth it, it might be for a healthy meal like this. This one is made with quinoa, kale, mesquite, corn, and a variety of spices. I decided to add some beans, and it was amazing! I didn’t like this bowl as much as the previous, but it was still tasty. The pesto was amazing! It also includes spinach, basil, cashews, and nutritional yeast. This would be a perfect meal for weight loss since cauliflower rice is low in carbs. The entire meal only has 220 calories and 13g of carbs. 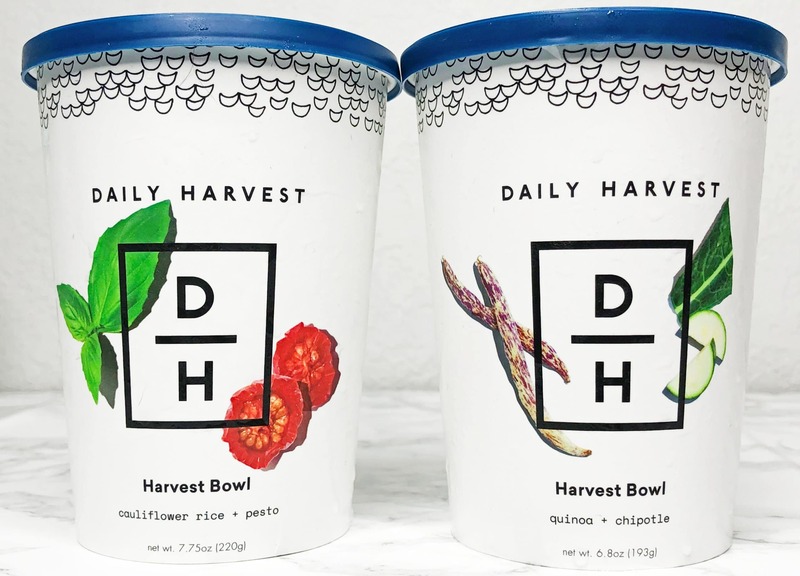 Other than this bowl, Daily Harvest has plenty of weight loss options if that interests you. Plus, you can heat harvest bowls in the microwave or on the stovetop, so they’re an easy and quick meal if you’re always in a rush! As I mentioned briefly above, they offer a deal for three cups free in your first box. This can be acquired using this Daily Harvest link to sign up or using the code “RE-6AB66VV.” Otherwise, there aren’t usually many other deals available. This is a pretty great one though, it’ll save over $20! 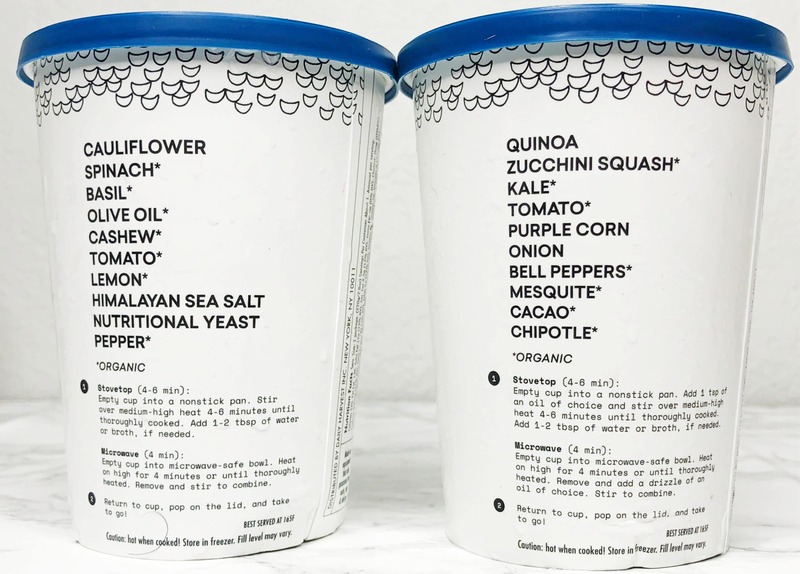 While there aren’t too many smoothie subscription boxes in particular, the concept of shipping perishable food products is pretty popular. Many meal kits in our food subscription boxes list, for example, ship all the ingredients you need to create particular recipes. There are also similar boxes that ship prepared meals, so you don’t have to do any cooking. 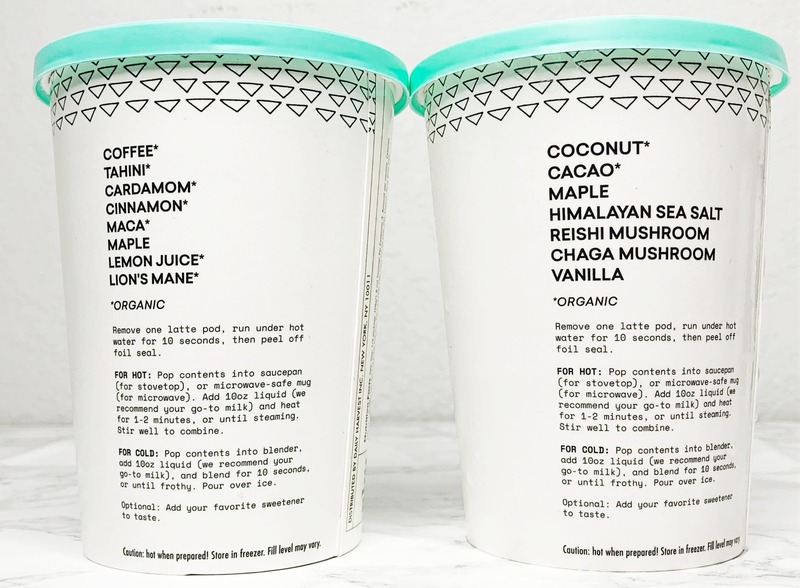 There are even ice cream subscription boxes (but that’s a topic for another day)! 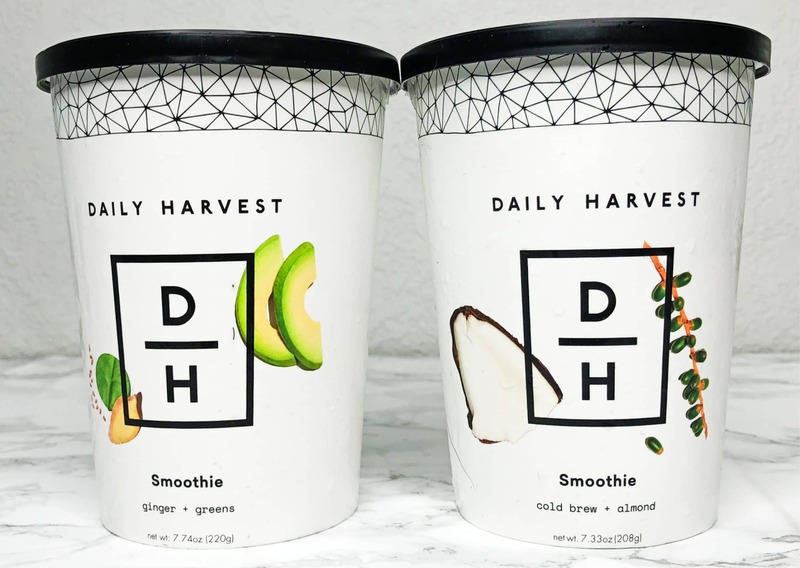 If you’re a smoothie lover like I am, there’s no doubt that you’ll love Daily Harvest. Although it can seem a bit spendy, it’s definitely worth the price when you consider the high-quality, healthy ingredients and large number of creative recipes that they offer. It’s a great way to save the time and hassle of making homemade smoothies. With all of their selections, you’ll never run out or get bored of their choices. 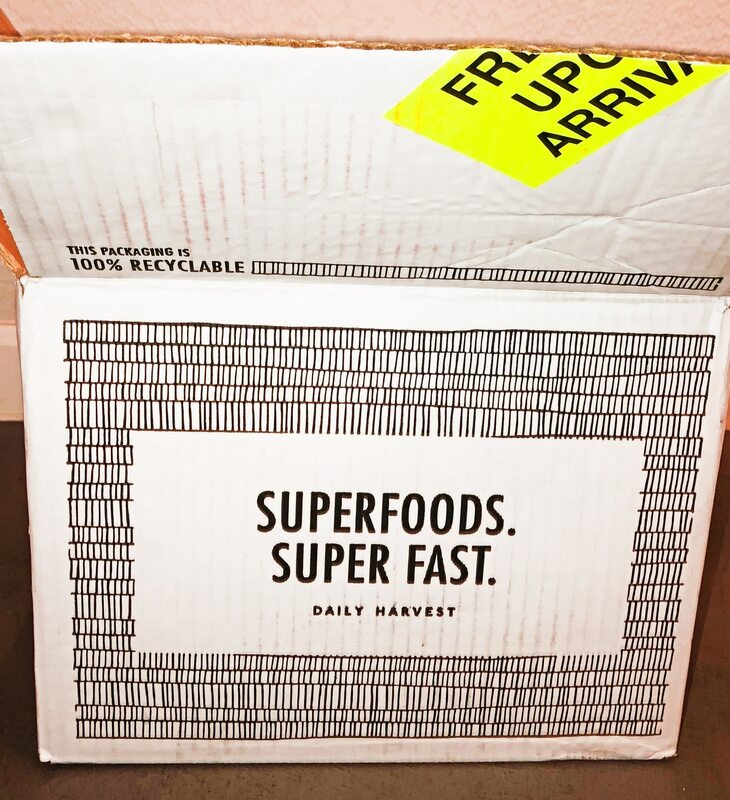 I love Daily Harvest and will definitely keep trying their products! It can be tough to choose from the continually growing number of subscription boxes on the market, so we strive to provide the most informal and detailed subscription box reviews on the web. This means you won’t need to waste time looking through various reviews for the same box to find everything you need to know before even considering to subscribe.